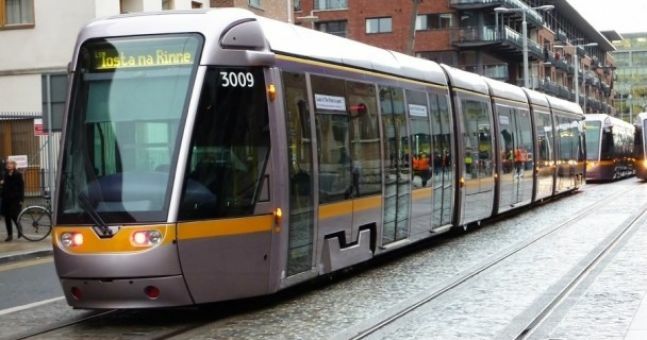 The Luas is Dublin’s Tram network. The name is from the Irish word “luas” meaning speed. Commonly referred to as “the Daniel Day”, as in Daniel Day Lewis, it carried 35 million passengers in 2015, and is a relatively recent addition to the city streetscape, launching in 2004. Dublin used to be criss-crossed by over 60km of tramlines. Now there are just 2 Luas lines. The Red line & the Green line. As with all Government run projects the Luas construction was dogged by controversy coming in well over budget & behind schedule. Not least the fact they didn’t bother to connect the separate lines. So as we speak it’s a good 20 minutes walk to get from your Green line tram to jump on the Red line. However, construction began in 2013 to join up the two lines and extend further North to Broombridge (wherever that is)? This is expected to be completed in 2016, however I wouldn’t hold my breath. The Red line runs from the Point in the North city Docklands west to the suburb of Tallaght. Or basically from one dodgy area to another, taking in many more dodgy areas along the way. Jumping on a tram we begin our journey from the Point outside the 3 Arena. This area is a relative ghost town. They extended the rail line to here but ran out of money to build houses for the people. Ooops! Told you it was controversial. Travelling via the IFSC financial district we pass by Heuston Station & Busaras on towards the Spire on O’ Connell Street. Next to this stands the G.P.O. 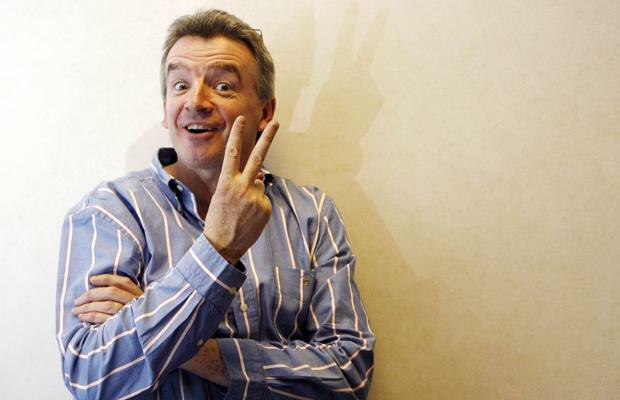 which was the focal point for the 1916 Easter Rising. Running parallel to the Liffey our next stop is the Four Courts. 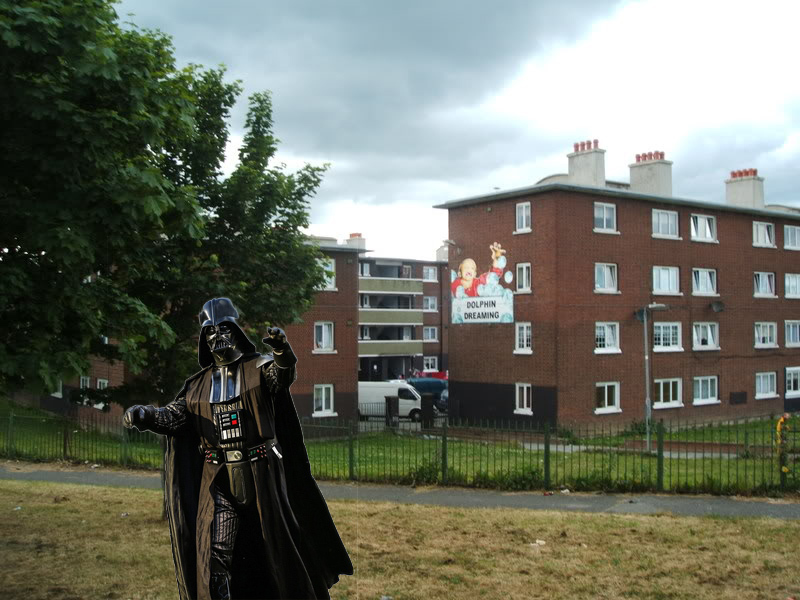 Another rebel stronghold during the Easter Rising. Next stop is Smithfield square. 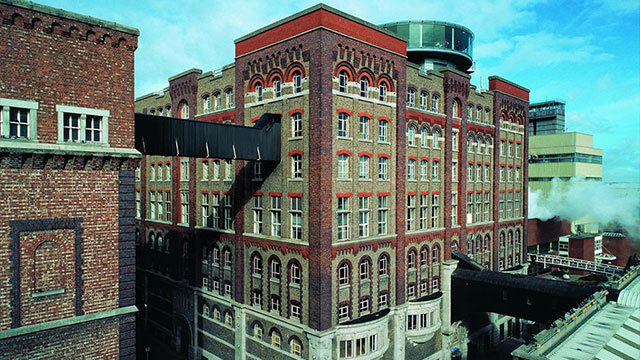 Notable landmarks include the Old Jameson Whiskey distillery and the Observation Tower. The National Museum of Ireland is the next on our route. Located beside Collins Barracks, it is a magnificent setting that houses some breathtaking decorative arts and history. Crossing the Liffey we arrive on the Southside to Heuston Station. From this magnificent building you can catch an intercity train to Cork, Limerick, Galway, Mayo, Waterford & Kerry. A short walk from here will bring you to Kilmainham Gaol as well as the stunning grounds of the Royal Hospital Kilmainham. By this stage of your journey you should have been tapped for change by a junkie, seen a ticket inspector getting laughed at & a scumbag not lifting his feet off the seat so the pregnant nun could sit down. *kip = Dublin slang for not a very nice area at all, at all. Check to see if you still have your phone. The Green Line runs southbound from St Stephen’s Green out to Beechwood (wherever that is)? The Green Line differs from the Red Line in many, many ways. The passengers pay their fares, are polite & have teeth in their head. However, although the journey takes you through the pleasant leafy suburbs of South Dublin, it does lack notable landmarks and is quite a bland journey. Dundrum Town Centre, is probably the most notable landmark on its journey. A huge shopping centre about 15 minutes by tram. The best thing about the Green line is where it begins, or ends, depending on the direction you’re going. It’s perfectly located for indoor shopping at the spectacular glass roofed St Stephen’s Green Shopping Centre. 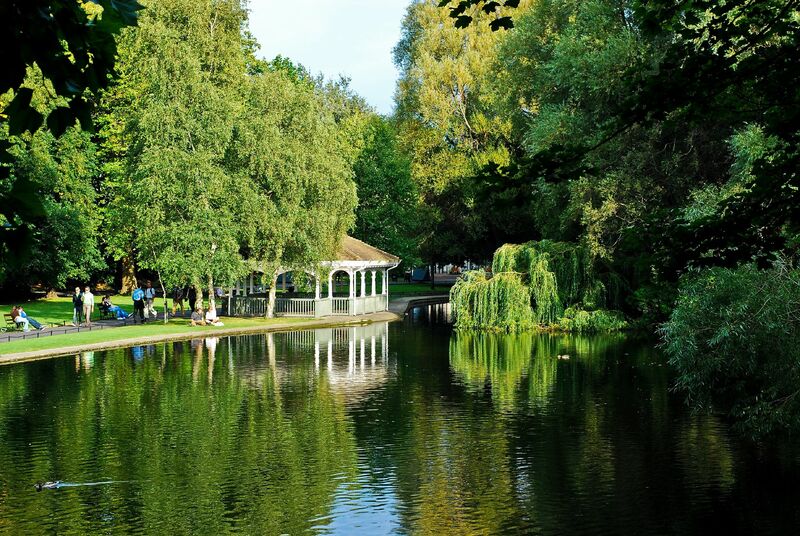 Or perhaps feeding the ducks or lounging in the beautiful surrounds of St Stephen’s Green Park. From here you can stroll down Grafton Street with it’s array of shops, boutiques, cafes and lively street entertainment. Or sample the delights down one of the little side streets with it’s myriad of pubs, coffee shops and restaurants. At the bottom of Grafton Street lies Trinity College and its cobble stoned courtyard. 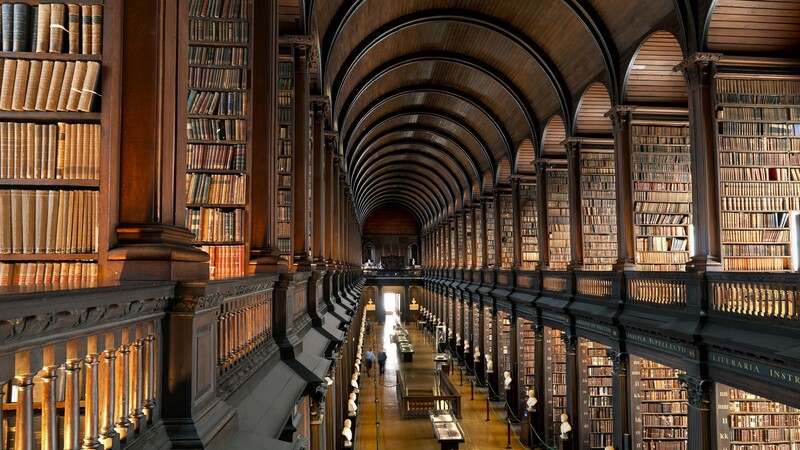 Located in the stunning setting of The Old Library is the Book of Kells. Exiting by Trinity’s South gate will bring you to Kildare Street and The National Gallery of Ireland. 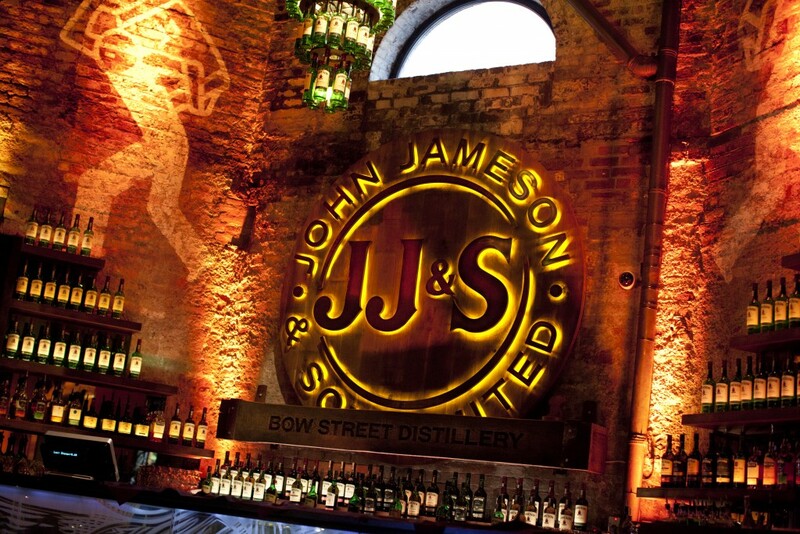 If you exit by Trinity’s West gate you will find yourself at the entrance to The Irish Whiskey Museum, or if you prefer just cross Dame Street to Temple Bar, famed for its many lively pubs and entertainment. From here you can sup a beer, watch the world go by & quietly wonder why they didn’t bother to join up the Luas lines, will they ever finish it and what are all those silly Irish words over the tannoy at each stop.